Every time you go see your cosmetologist, they look happy and fulfilled in their career. Could you achieve the same satisfaction by joining their ranks? Naturally, a lot of that depends on you and your own level of initiative, but below you'll find what you can realistically expect in terms of earnings, expenses, job outlook and potential for advancement. Like what you hear? Call Creviers School Cosmetology in Kalispell, MT to enroll! Creviers School Cosmetology has a beautiful facility managed by wonderful educators! Our 6,000 square foot building is very bright and open with 48 cosmetology/manicuring stations, semi-private esthetics room, freshman training room, break room, large class room and library with books and videos on all aspects of Cosmetology, Manicuring and Esthetics. Our friendly and knowledgeable staff seeks to encourage a positive and fun learning environment for up-and-coming cosmetologists. We utilize a variety of learning resources to ensure every student gets the best education possible. Creviers School Cosmetology has a great variety of clientele year round. This gives our students hands on experience that prepares them for skills needed for future job placement. Our well-established clientele helps keep tuition affordable and provides real-life training for students. 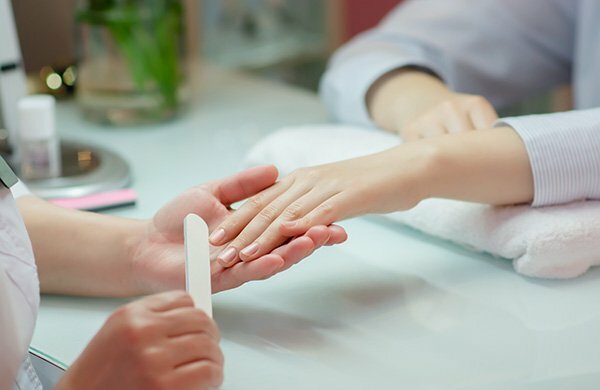 We work with many product lines and professionals in our industry including Matrix, Bio-Theraputic, Tuel, Creative, Young Nails, China Glaze. If you are interested in a great cosmetology school, manicuring or esthetics school in Montana, enroll in Creviers School Cosmetology today! Ask us about our advanced training classes for licensed professionals, such as eyelash extension classes, waxing classes and makeup classes.